Fair City I.T. 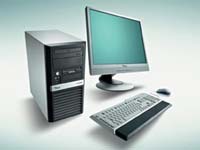 Solutions also provide support for Business computers and networks in Perth , Perthshire and surrounding area's. Payment Methods Accepted - BACS, Cheque, Cash, Credit / Debit Card (via website only).